After successfully completing his first-year professorship, Welsh folklore expert Chris Pendragon has earned a vacation. At least that’s what the young scholar tells himself—but deep down, he feels an urgency to reassess his life, to find a sense of purpose. Hoping that perhaps a trip to Wales will provide him the answers he seeks, Chris embarks on a journey of self-discovery. He could never have anticipated the unimaginable adventure that awaits him . . . Shortly after his arrival in Wales, Chris is witness to a horrific accident with more far-reaching consequences than he could have dreamed. Following his heroic rescue of one of the victims, an unexplainable phenomenon is revealed: bones that had been broken were made whole with Chris’s touch. Still reeling from this discovery, Chris is approached by a wizened old man with an implausible answer: Chris has been chosen to be the bearer of the Dial, a healer of unparalleled power. But the calling is fraught with peril, and Chris soon discovers there are those who will stop at nothing to seize the power of the Dial. 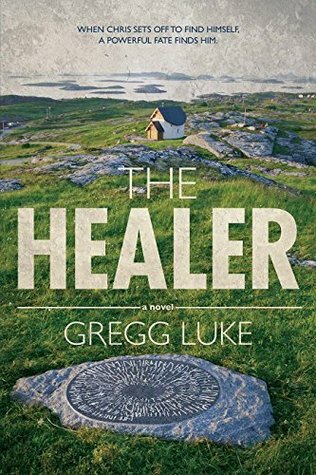 With the help of a beautiful, if skeptical, doctor, Chris must choose: go back to the life he was leading, or embark on a thrilling new destiny . . .
the setting…modern day Wales. Beautiful, green, steeped in local lore. Since a young boy, he has loved writing. Although he has always enjoyed writing, it wasn’t until college he became serious in his efforts. Still, it took ten more years before any of his writings got published. His favorite genre is science-based thrillers, but he enjoys most any fiction or non-fiction book. He has been a finalist for a Whitney Award in 2008 for Do No Harm,in 2009 for Altered State, in 2010 for Blink Of An Eye, in 2011 for Bloodborne, and in 2012 for Deadly Undertakings. 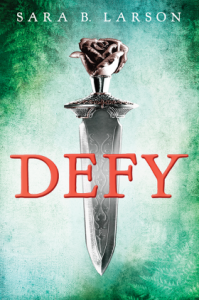 Seventeen-year-old Kestrel is an aristocratic citizen of Valoria, a vast empire that revels in war and enslaves those it conquers. Here, a girl like Kestrel has two choices: join the military or get married. Despite her skills in military strategy, Kestrel’s real passion is music.Which is why she feels compelled to buy Arin, a slave with a talent for singing, at auction. It’s not long before she finds herself falling in love with Arin, and he seems to feel the same for her. But Kestrel quickly learns that the price she paid for Arin is much higher than she ever could have imagined. Review: I got this book from MacMillan as an e- ARC, and when I saw the cover image, must say I swooned. It’s gorgeous! 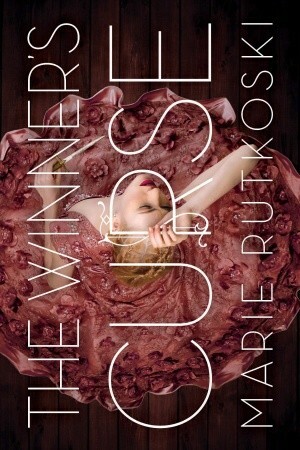 After reading, The Winner’s Curse, I love it even more. It fits the book, not just a pretty girl in a dress, it looks like Kestrel. Kestrel who is General Trajan’s daughter, a motherless pianist who doesn’t want to bend to the confines of her father’s decision, the girl that does not want her to join the ranks of his army. She trains half heartedly and longs for freedom outside the doldrums rules of society. As she and best friend Jess wander the marketplace in search of distraction they are pushed by the mob like crowd to the bidding arena where a slave is being auctioned off. Without knowing why, Kestrel feels compelled to bid on the young man, Arin, who is defiant and unruly. She pays a much higher price than the norm for slave and falls for “the winner’s curse,” in more ways than one. There is a pull toward him that is unexplainable. He is more than he appears on the surface, more than a blacksmith pounding out horse shoes. Arin has a will, and hidden underneath is the story of how he became a slave and what he’s endured. Meanwhile, Kestrel begins to make waves with her opponents of bite and sting, a tile game with betting. She angers some and charms others. She turns heads for many reasons and gets the whispers of society to spread. The Winner’s Curse was an interesting high fantasy diversion. I wish we knew a bit more about the characters. I wanted more depth–more about what they looked like, what they wore and their inner thoughts. I wasn’t as attached or invested to Kestrel, Ronan and Arin as I would like to have been. The world was fascinating–one country dominating another and taking the inhabitants as slaves. I loved the dynamic of slave and owner, the thought that the slave may even be serving in the household he once owned. Still, there was a hope to understand the custom, the culture, the view, the games and the rules just a titch better. The end notes added a lot, the author knows her stuff. I hope she incorporates even more of what she highlighted about the period & civilizations into the rest of the series. Here’s the magical part–by the end, I was swept away, fully escaped reality, and was lured into Marie Rutkoski’s story. Something happened that I can’t quite explain. I felt more tied to Kestrel and Arin, the lulls in pace no longer bothered me, and I wanted to dive into book two. So would I recommend The Winner’s Curse... yes! I love it when a book casts its spell on me and I can’t quite explain why. There was something poetic and musical about The Winner’s Curse that drew me in. Thanks to Macmillan for the sneak peek! y. Marie is currently a professor at Brooklyn College, where she teaches Renaissance Drama, children’s literature and fiction writing. She usually lives in New York City with her husband and two sons, but she and her family are living in Paris for the 2012-2013 academic year. Wonders, The Celestial Globe and The Jewel of the Kalderash. Her next project is a YA trilogy that begins with The Winner’s Curse, which is scheduled to be published in March 2014. His chivalry was strangling her. He thought he was helping her—and in truth, he was. She was in desperate straits. But as honorable as he was, he was also breaking her heart. Her attraction was drowning him. When World Champion rodeo cowboy Rossen Rockland and his friends rescue a young runaway who has been abused by her foster father and take her home to his parents’ ranch, he expects her to turn out to be a pain in the neck. And sometimes she is. It doesn’t take him long to figure out that she has way more than her allotment of troubles—and far more than her share of gifts. Lovely, talented, and ravingly brilliant, Kit Star is too young, unbelievably humble, and oh, so loveable. Knowing that she needs his protection and time to grow into her potential, Rossen also figures out that what she really is, is a pain in the heart. 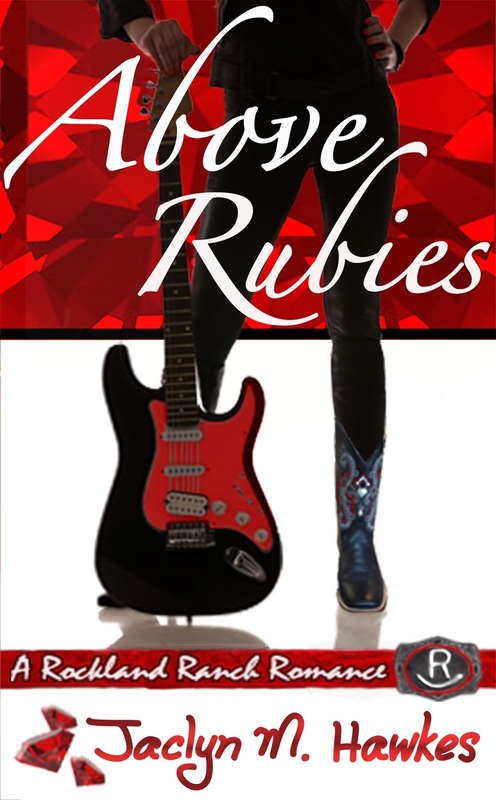 Review: Rodeo champion Rossen Rockland is on his way home from a world rodeo championship in Las Vegas with his adopted brother when he becomes witness to an attack on a young woman walking alone with her guitar. He is in the right place at the right time to rescue Kit and bring her home to Rockland Ranch where she will have a chance to heal and experience what family, love and loyalty really are. How can he help but become attached when he is there every step of the way through hospital visits, surgery, recovery and nurturing the child that is on it’s way? Kit is 17 and though young in years, has grown up fast from her experiences in the world. She’s smart, gorgeous and talented in more ways than one. But is she ready to be a mother? How can she experience college life and “growing up” when there are so many complications that stand in her way…including Rossen? 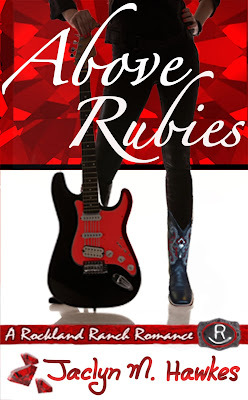 I enjoyed book two in the Rockland Ranch series. It openly explores a woman’s virtue as the victim of abuse: that Kit is worth more than rubies, pure and innocent. Despite what others may think, or find to gossip about, her worth is constant, and it is seen by her new family and Christ. There are messages about the atonement, prayer and hope in God when life seems to be leading away from what you want. At times the story dragged a little bit with a lot of “telling instead of showing”, but when rock star Nick Satori steps in about halfway through, things really pick up speed. He is the prefect addition and the catalyst that was needed to get this fairy tale ending moving in the right direction. 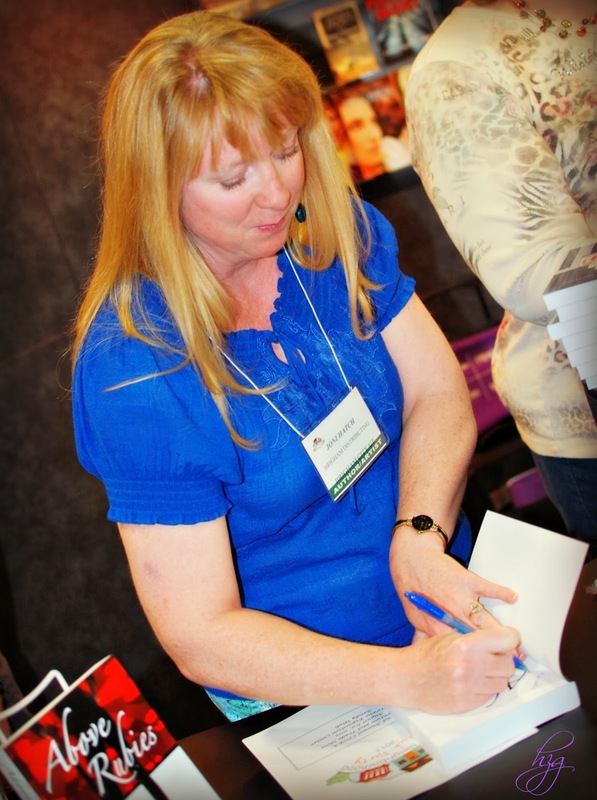 About the Author: Jaclyn M. Hawkes grew up in Utah with 6 sisters, 4 brothers and any number of pets. (It was never boring!) She got a bachelor’s degree, had a career and traveled extensively before settling down to her life’s work of being the mother of four magnificent and sometimes challenging children. She loves shellfish, the out of doors, the youth and hearing her children laugh. She and her fine husband, their family, and their sometimes very large pets, now live in a mountain valley in northern Utah, where it smells like heaven and kids still move sprinkler pipe. 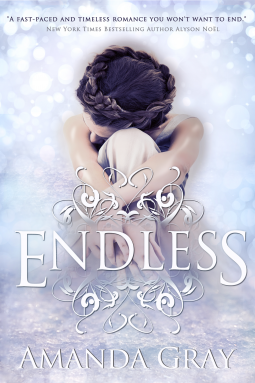 Review: The first thing I love about this book is the cover…romantic and Christmasy. The characters are Christian and sweet, though at time they seemed older than pictured–maybe late 40’s-50’s and not in true with their modern day setting. I admit this was a bit hard for me to get into because I couldn’t connect with the story line. The author does a wonderful job explaining the detail of the decorations and preparations for a Christmas Festival in honor of a little girl in the hospital, but not enough time was put into helping the reader know Mary Noel or her parents. I wanted to really feel their plight and sympathize with the dire circumstances they are in. I wanted to smell the goodies for sale at the festival, feel the snow on my cheeks and get a warmth in my heart from the miracle of it all. A Holiday Miracle in Apple Blossom is a short and sweet read for adults with an example of what true love could look like in a perfect Christian courtship. This author has a lot of potential if she can tap her characters in to the present day and really make everything come alive. I look forward to seeing what she does in the future, as this is her debut novel and she has a great start. Thanks so much to Cedar Fort for giving us a free copy in exchange for our honest review and inviting us to be a part of the blog tour. 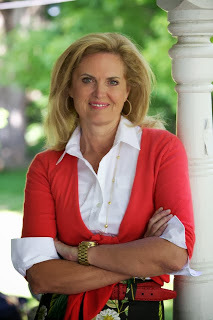 About this author: June’s holiday novella was chosen as the winner of Cedar Fort Inc.’s 2013 Holiday Tale Contest. 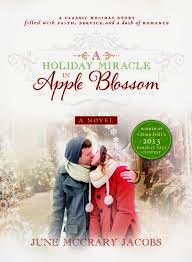 ‘A Holiday Miracle in Apple Blossom’ was be released on October 8th, 2013. Although this is June’s debut novel, it is not her first published work. Nearly one hundred of June’s original sewing, quilting, and stitchery projects and articles have been published in recent years in sewing books and sewing and crafting magazines distributed nationally and internationally. Two of her sewing designs for children will appear in the upcoming ‘101 One-Yard Little Wonders’ book published by Storey Publishing. A Californian since age six, June enjoys reading, writing, visiting historic homes and museums, cooking, designing, sewing, quilting, sewing for charity, and hand-embroidery. Follow June’s writing, sewing, and reading adventures on her ‘Writing and Sewing’ blog found at: http://www.junemccraryjacobs.com. Her weekly posts (updated each Wednesday) include book reviews, sewing tips, sewing projects with complimentary instructions, and journaling of the author’s visits to museum exhibits, textile and art shows, and more. Review: There truly could not be a more perfect book for me than Consider the Blessings. 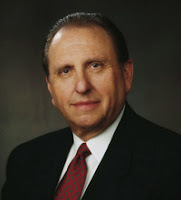 I have always enjoyed the stories President Monson shares, and have wanted to learn more about his life for a long time. But I admit, I have a hard time sitting down with a large biography or doctrinal volume with lots of pages. I am a visual learner who gets easily distracted when I try to focus on “big books” of non-fiction. That’s why when I started reading all of the “True Accounts of God’s Hand in Our Lives” interspersed with beautiful photographs and graphic design that fit each story, I was moved several times to tears. 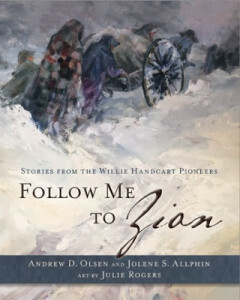 These are the tales that make up one man’s life– and not just any man, a spiritual hero, a friend and a leader. I came away uplifted every time I opened this book. Such wise, profound words from such a little one who could recognize truth when he saw it. Consider the Blessings taught me to never postpone a prompting and to live a life of faith–that there is a Heavenly Father who knows and answers our needs. 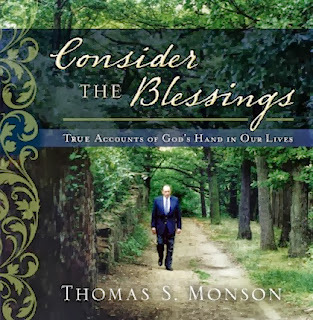 What a treasure and gift Thomas S. Monson has left his readers. His stories are proof that God is in the details of our lives, that He often works through other people’s hands and delivers his messages all throughout the world. Thanks to Deseret Book for asking us to be a part of the blog tour and for offering me a book in exchange for my honest opinion. About the Author: President Thomas S. Monson was set apart as the sixteenth President of The Church of Freiberg Germany Temple and in advancing the Lord’s work in other eastern European countries that were part of the communist bloc. He also served as chairman of the Scriptures Publication Committee and supervised the process that resulted in the new editions of the scriptures. His ministry has been characterized by his compassion for the needs of individuals and his gift for one-on-one service. President Monson and his wife, Frances, are the parents of three children, grandparents of eight, and great-grandparents of eight. Jesus Christ of Latter-day Saints in February 2008. He had previously served for twenty-two years in the First Presidency of the Church, after having been a member of the Quorum of the Twelve Apostles since October1963. 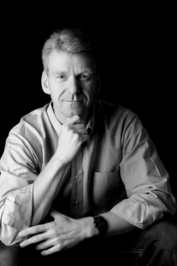 Five years after his call to the Twelve, he was given a special assignment for the work of the Church in Europe, requiring many visits with members behind the Iron Curtain. He was instrumental in the construction of the Freiberg Germany Temple and in advancing the Lord’s work in other eastern European countries that were part of the communist bloc. His ministry has been characterized by his compassion for the needs of individuals and his gift for one-on-one service. If you have ever found the Old Testament intimidating, you’re not alone. The less-familiar history, themes, and language, coupled with the length of the book, make it a difficult read for many. 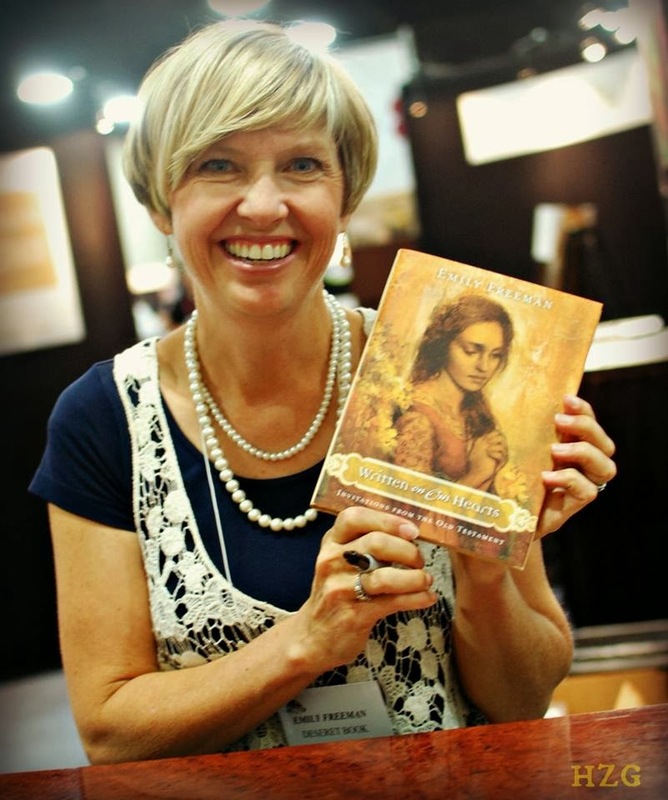 But author Emily Freeman loves the Old Testament, and as she shares some of the wonderful things she has learned in her study of this book of scripture, you will find yourself coming to love it too. Review: I have never tried to tackle the Old Testament as fully and personally as Emily Freeman does in her book Written on our Hearts. Each chapter is filled with verses, stories, and practical applications of how we can use the scriptural examples of strong Biblical women and men in our own lives. She finds the many women of the Old Testament and weaves their stories to create applications in today’s world. I truly hadn’t realized how many women there are in the Bible! Emily’s deep and studious take on things helped me understand how the Old Testament applies to my life today. Each chapter is two or three pages long, just enough to get the reader thinking and to lift, inspire every day. This is a book you could take an entire year reading, little by little, drop by drop–filling your lamp with oil. I would recommend it as a thorough and practical tool for studying and enjoying the Bible, a great gift for especially the women in your life. Thanks so much to Emily for taking the time to truly immerse herself in scripture and to Deseret Book for asking us to be a part of the blog tour. I received a copy of this book for free from the publisher, in exchange for an honest review. Favorite passage: “Do you ever have one of those days when you look back and wonder if you are enough? If you gave your best? If anyone recognized your effort? Do you wonder whose team you are on? If anyone is cheering for you? On those days, maybe you could remember these verses: The Lord has chosen you because He thinks you are special. You don’t have to be more than anyone else; you can be numbered among the fewest. He will still choose you. He loves you. He won’t turn you away. The Lord, thy God, He is God, the faithful God, who has promised that you will be blessed among all people. Believe Him. There is nothing that would make Him happier than to know that you are on His team. 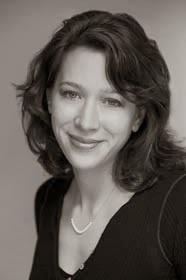 About the Author: Emily Freeman took her first creative writing class in high school and has loved writing ever since. She finds great joy in studying the life and teachings of Jesus Christ. 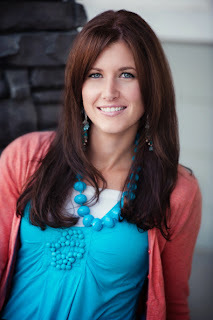 Her deep love of the scriptures comes from a desire to find their application in everyday life. 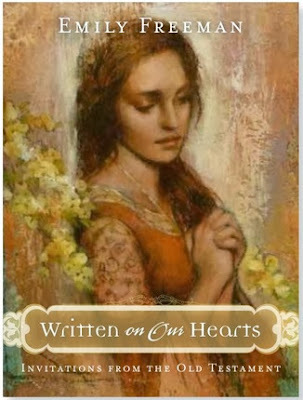 She is the author of several books, including The Ten Virgins; 21 Days Closer to Christ; and The Promise of Enough. There is nothing Emily enjoys more for breakfast than a bowl of vanilla ice cream, raspberries, and chocolate chips. Other favorites include parades, vacations, firework displays, and going for a long walk with a good friend. 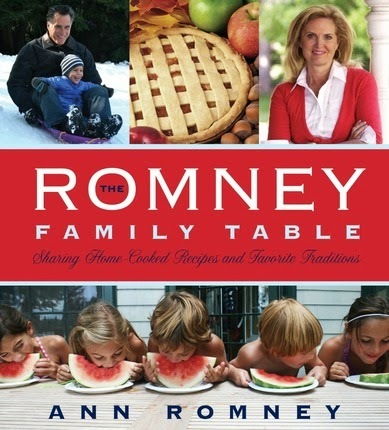 Emily and her husband, Greg, live in Lehi, Utah, with their four children, whom she adores.